Do Good, Look Good & Feel Good! Socially conscious sustainable fashion and design. 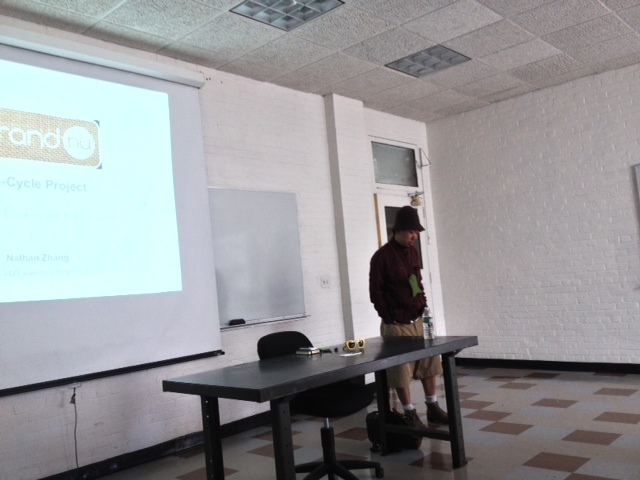 Nathan Zhang speaks to the SUST 201 class about upcycling. Nathan Zhang or “Xiangzi,” is the founder of brandnü project. 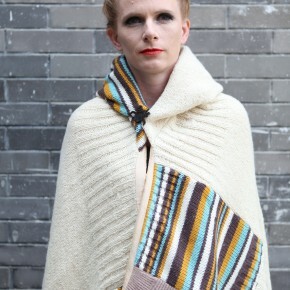 Born in Liaoning, Nathan is a designer and communications professional with a passion for connecting creative communities with rural artisans. Nathan was first inspired to found brandnü while living and working abroad in Canada, where he studied leading models of social enterprise. In 2008, Nathan and his wife moved back to China with a mission: to help rural women. Through brandnü, Nathan aims to build bridges between East and West that promote China’s socially-conscious designers and entrepreneurs. He is working hard to make brandnü a place where love can be received and spread to others. This entry was posted in consumption, events, recycling on October 1, 2012 by Carl Zimring.